The Transporter Dual Belt Conveyor System replaces old chain and roller systems and is safer, easier to use, and easier to care for. 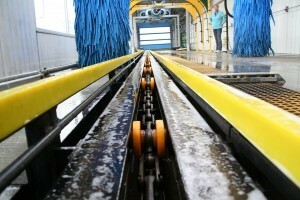 Take control of the vehicles passing through your wash and safely carry them down the wash tunnel. The Transporter drastically reduces the difficulty of customer loading, allowing your entrance to operate with less oversight and overhead, and minimizes the likelihood of accidental damage. The RG-440 Conveyor is an affordable, practical and reliable option. Its rugged design operates smoothly, quietly and efficiently, providing a safe ride for customers. Worry-free, low maintenance operation and affordable price gives you a quicker return on your investment. Innovative engineering with rugged, rock-solid construction defines the XR1000 Conveyor. 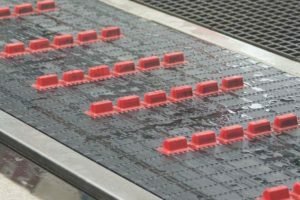 This conveyor is easy to maintain, simple to operate, and built to last. Maintaining the key components of the RG-440 while adding features for an even better ride. Revolutionary no-slide design requires no greasing or regular maintenance, with super-duty 1/2″ steel constructed top deck, and super strong safety door for extra durability.